W e are in the middle of a fundamental paradigm shift in the way consumers buy and consume things. They have more choices, more information, and more touch points with you than ever before. They are constantly talking publicly about the products and services they purchase and use. The consumer has never been so demanding, and so powerful. This poses considerable challenges on the CRM front – organizations need to harness the right set of tools and technologies to reach out to a wider audience, understand their behaviour and quickly align their product and services on those lines, ideally tailored precisely for each individual customer. We need to view the CRM landscape as not just a customer relationship tool but as a more vibrant, omnipresent, highly integrated social platform. Nagarro helps organizations harness the power of cloud, social, mobility, and analytics by providing smart, agile, comprehensive, and custom crafted solutions that enable them to understand their customers better. 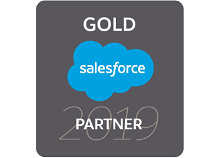 As a Salesforce Gold Consulting Partner, we provide specialized cloud consulting and solutioning. Read about our extensive offerings and how we enable digital transformation through Salesforce. Adapting to change with Salesforce Service Cloud Learn how Nagarro helped Automic achieve customer success with 30% reduction in ticket resolution time.